After much deliberating and with some help from our friendly server, we ordered a number of Chisou’s signature dishes. Yellowtail Sashimi in Black Truffle Infused Soy Sauce : Our waitress informed us that this was one of their signature dishes and unique to Chisou Knightsbridge. 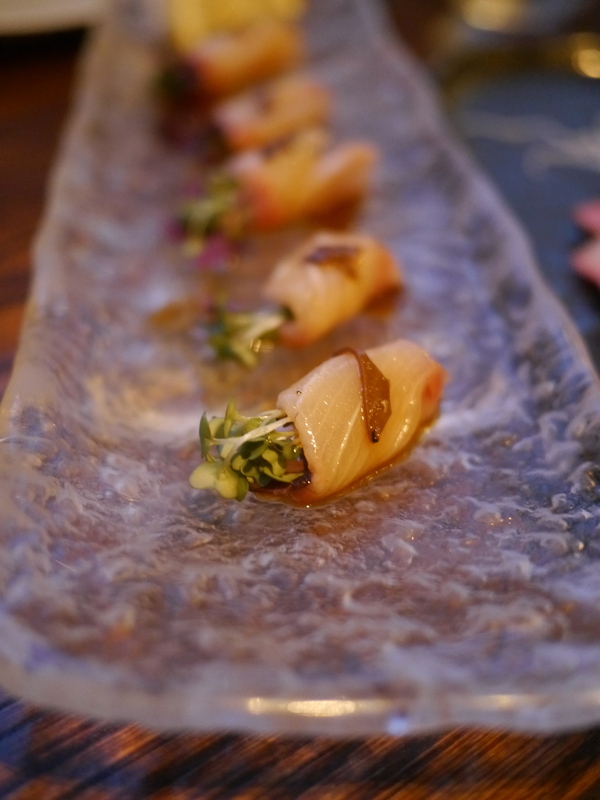 I loved the use of black truffle and the sashimi was a brilliant combination of flavours and textures. My favourite from the night! 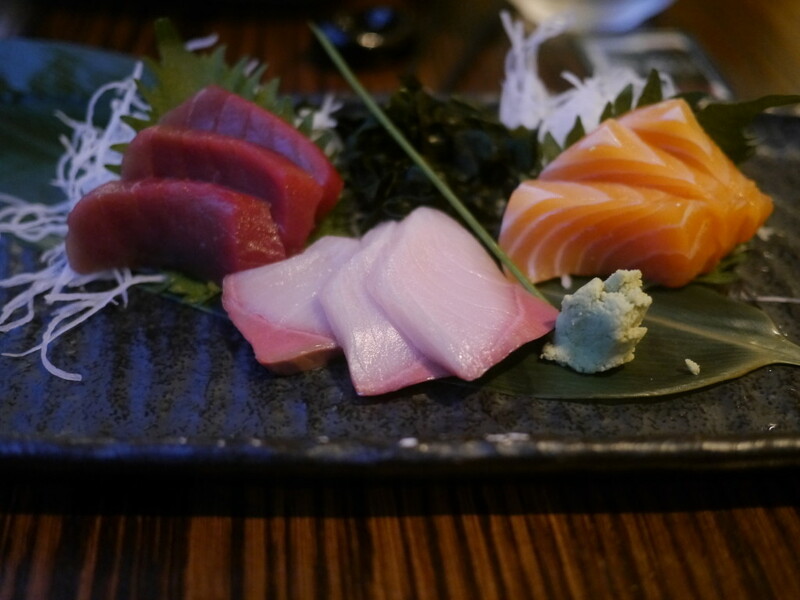 Sanpin Sashimi: Tuna, yellowtail and salmon selected by the chef. As delicious as it looks. 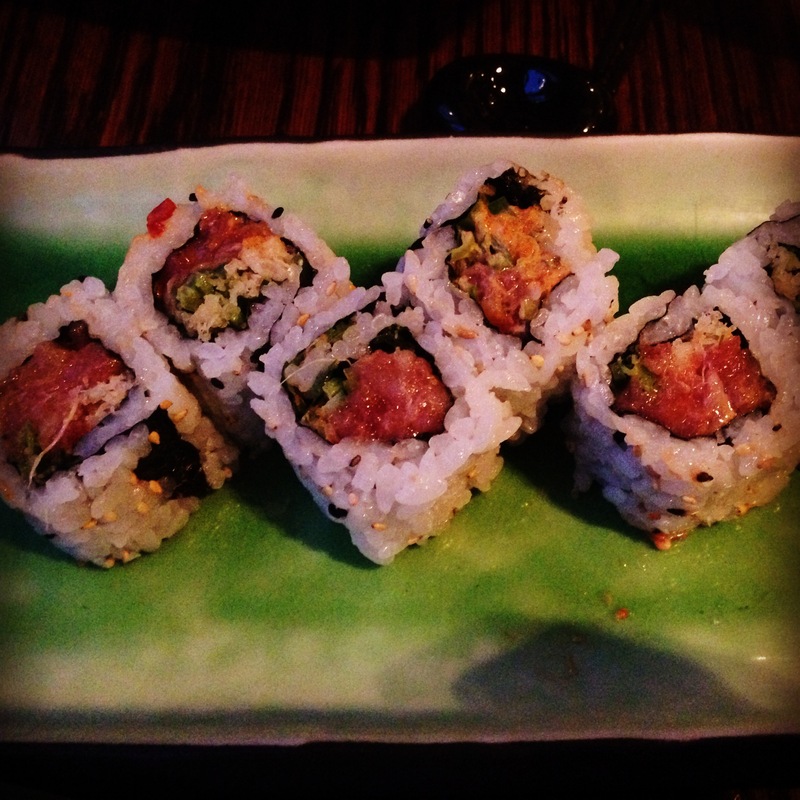 Spicy Tekka Maki: Chopped yellow fin tuna, tempura flakes, green chilli and spicy mayo rolled inside out with sesame seeds. This was superb and I would go back to Chisou just for this fabulous roll. One of the best I have had in a long time. Saikyo Yaki – Grilled black cod marinated in miso paste.Chisou was generous with their miso cod serving when compared to other popular restaurants in town. 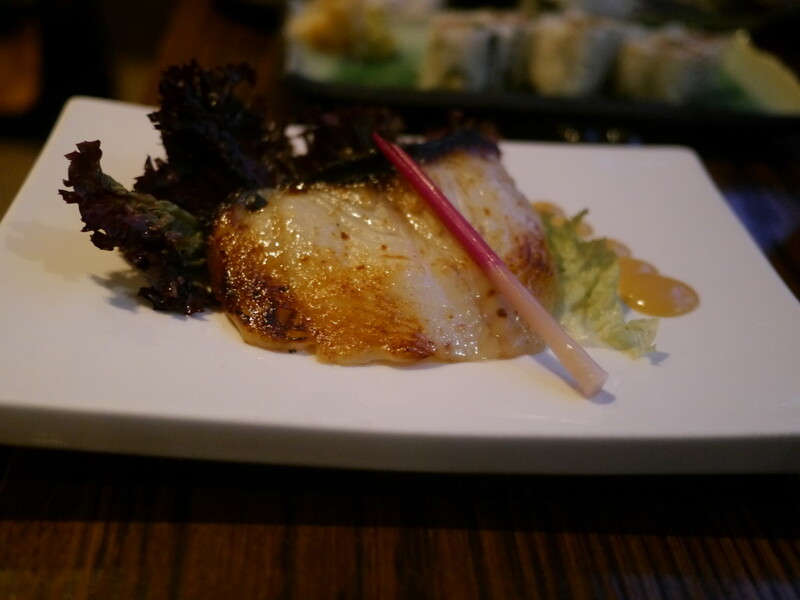 The fish was grilled to perfection and well presented but lacked the sweetness of the miso. I wouldn’t call it disappointing but a little more miso would definitely help. Tempura Moriawase A medley of king‏ prawns, fish and vegetable assortment in a light batter served with traditional tempura sauce.I still remember the divine tempura I had in Ginza on my last visit to Tokyo so I’m afraid I’ve been spoilt. 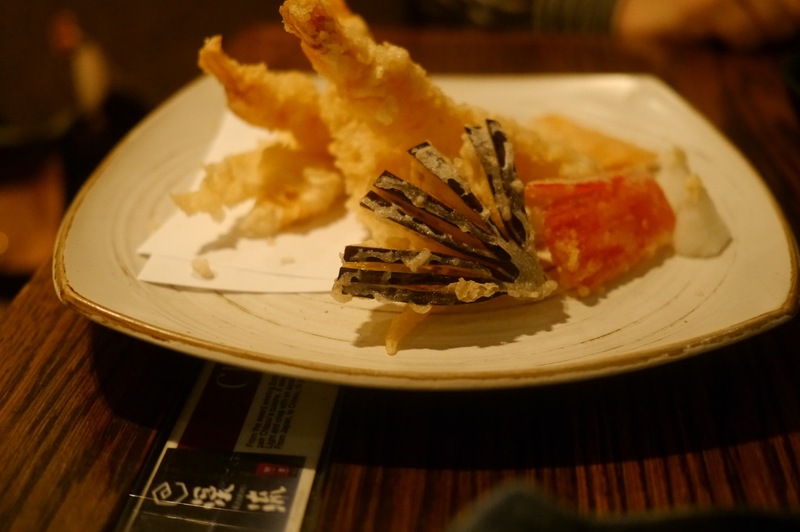 The tempura at Chisou was good but heavy on the batter and not too crisp. Fondant Au Chocolat Sprinkled with Macha and Served with Wasabi Ice Cream: Gooey, molten chocolate is always a sure-shot hit with us. The wasabi ice cream was unique and delicious. 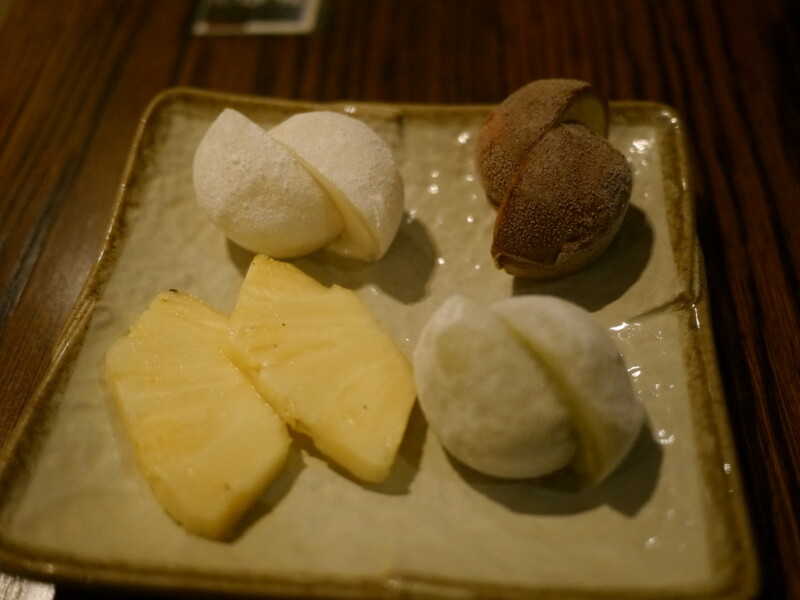 Yukimi Daifuku: Japanese rice cakes filled with an assortment of ice-cream Our server suggested we also try the Daifuku and I am so glad she did. 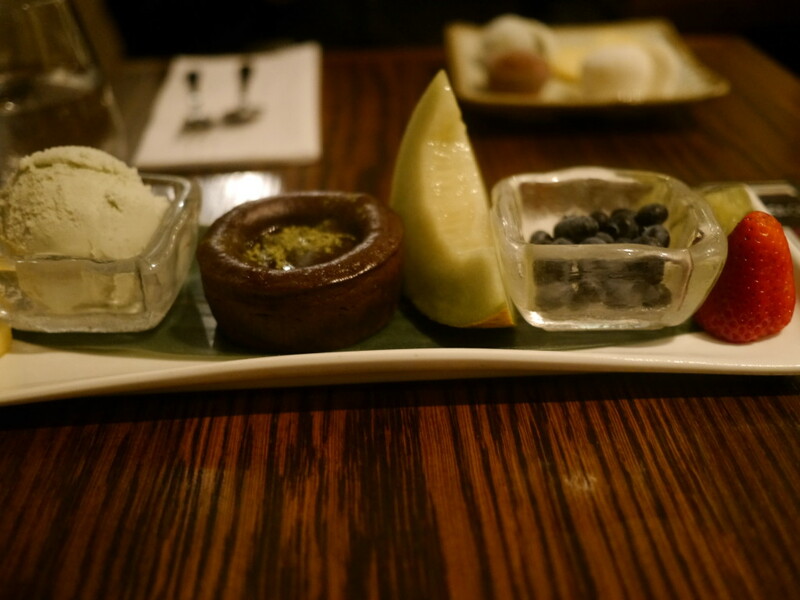 The trio of ice cream flavours included vanilla, caramel and green tea all encased in sweet rice cakes. 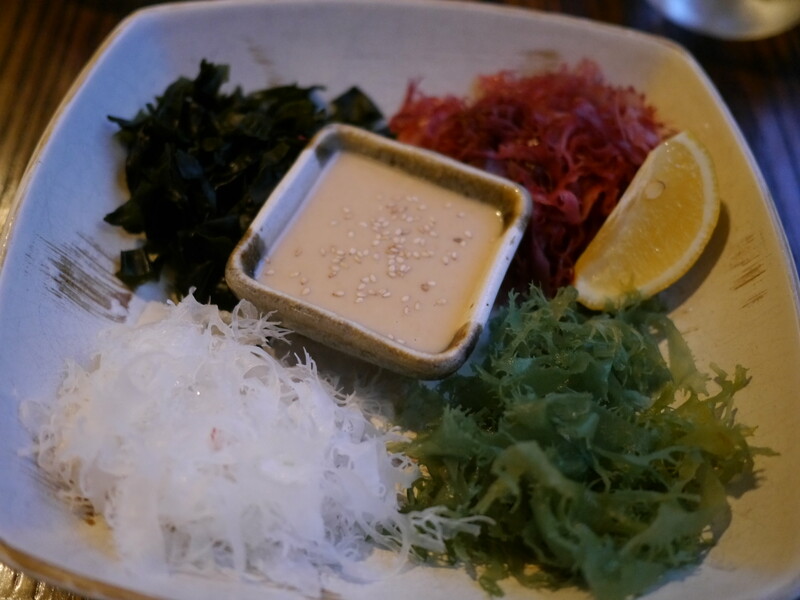 We enjoyed this lovely meal with a flask of cold Junmin sake – a great accompaniment to the fantastic flavours. Chisou also have restaurants in Mayfair and Chiswick serving a similar menu with a few variations. Prices are certainly high but you pay for the quality and the authenticity. 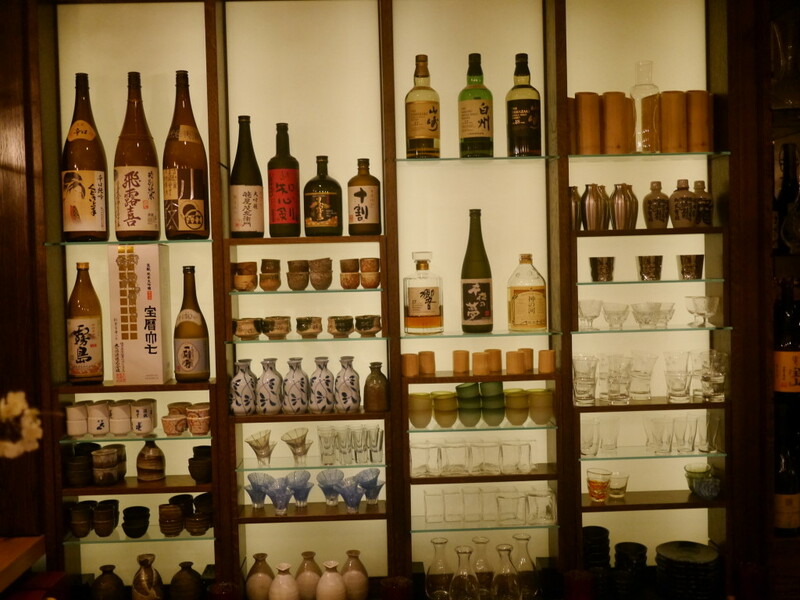 Chisou is an izakaya so don’t go in expecting a scene like Nobu or Zuma. The restaurant was extremely busy on a Wednesday night and we noticed several Japanese diners which is a great measure of Chisou’s credibility. 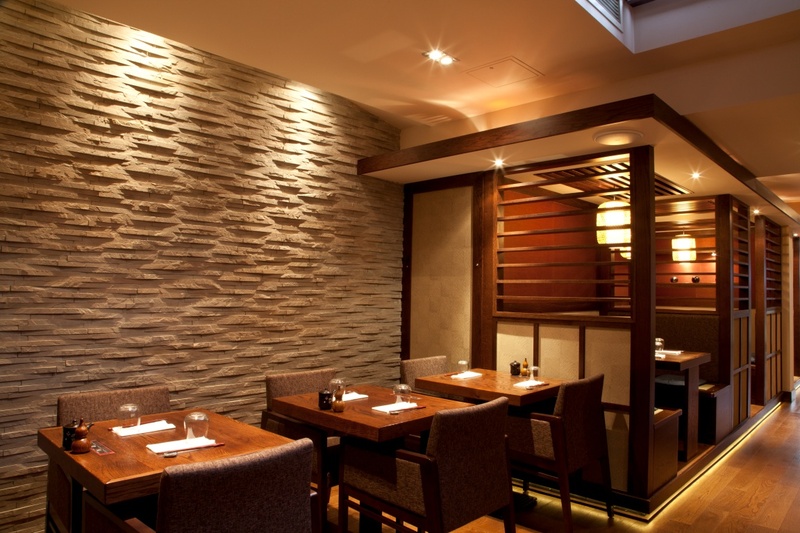 Chisou Knightsbridge is intimate, cosy and a perfect spot for a catch-up with friends over delicious Japanese food and sake. Hungry Aphrodite dined as guests of Chisou Knightsbridge but all views and thoughts expressed here are, as always, my own.